The surftastic sequel to Teen Beach is finally out on Disney DVD! The Teen Beach 2 movie is great for the whole family and one you’ll be watching well into the winter months. The songs are fun and catchy, the cast is adorable, the dancing will have you on your feet trying to keep up, and the message in this movie is amazing for kids–especially young girls. I was able to screen this movie and will be receiving a copy of the DVD with bonus features as part of an all expenses paid trip. All thoughts and opinions on this blog are my own. The Teen Beach 2 movie appeals to multigenerational audiences. From my grandma, to my mom, to me and my daughter, we can all relate to something in the film. Plus, who doesn’t love fun music and dancing?! In the Teen Beach 2 movie, we see girls and guys supporting each other like no other movie I’ve seen. No catty girl stuff or petty guy drama. Instead we get to watch these characters display genuine, honest, and open frustration. They then work with each other to figure out why they feel that way, and what can be done to improve the situation. Why is this such a foreign concept?! It just makes sense! All little girls and boys should model their attitudes off of these characters. They’re funny, cute, but above all else, they’re real. It’s refreshing to see emotional honesty becoming the new trend. 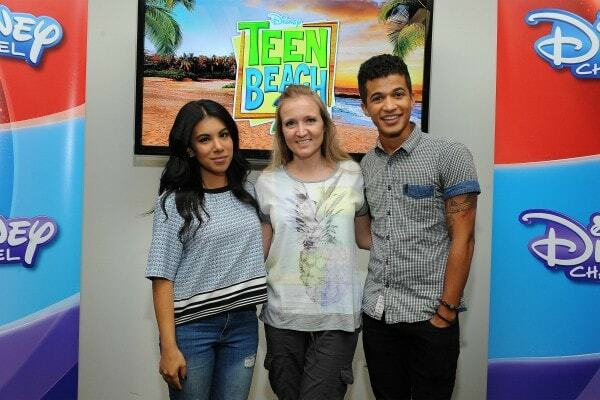 The Teen Beach 2 movie premiered on Disney Channel last Friday. (6/26) The DVD was also released in stores everywhere the same day. So, sure, you can probably set your DVR to find and record this great movie on your cable box but you’ll be missing some great content and even a great piece of jewelry! The DVD also comes with a necklace just like Mack’s! All the little girl’s I know are going to have to have this! If you missed the premiere, it’s not too late to have the ultimate viewing party! Grab the DVD and snag some great craft, recipe and activity ideas here. Follow Teen Beach 2 on Twitter and Facebook! My kids are always thrilled to watch anything that comes on the Disney channel. Something that they would love too! The Disney channel has so many fun shows and this movie is a hit in our house. We liked the Teen Beach 2 movie and want to get the DVD! This looks cute. i do not think kids are old enough yet.